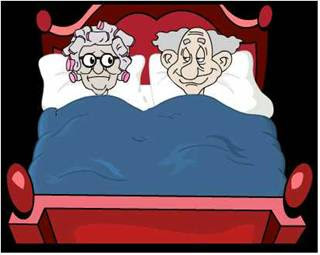 An older couple is lying in bed one morning. They had just awakened from a good night's sleep. 'Because I woke up this morning and nothing hurts'. WITH A BIG TIME TIP OF THE HAT TO SANDEE FOR THIS ONE. Oh man, I can see myself some day saying that. Not far off too. This is another good one Mike. It made me smile this morning. Glad you shared it! what a riot! it suddenly got me doing some reality check here. lol! Matty,Mary and Bing I'm glad that you enjoyed this one.and yes I may not be far off from this as well. I hurt this morning but am definitely not dead--thankfully.